And speaking of Rose Lemberg, you should definitely check out The Moment of Change, her new anthology of feminist speculative poetry. 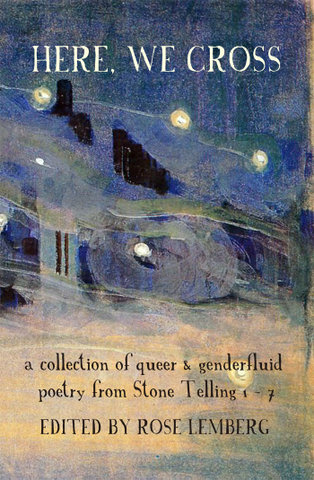 It has poems from some wonderful friends including Alex Dally MacFarlane, Hel Gurney and Koel Mukherjee, as well as some of my favourite poets including Amal El-Mohtar, Catherynne M. Valente and Sonya Taaffe. And Ursula K. Le Guin! And lots more! I can’t wait to get my hands on a copy. Available from Amazon US or Aqueduct Press. On a final poetry note, I’m reading at the Scratch+Sniff Penning Perfumes event tomorrow night in London, at which the Penning Perfumes pamphlet will be launched – I’m told the event’s sold out now, but I’ll post more about the pamphlet when it’s available to buy.